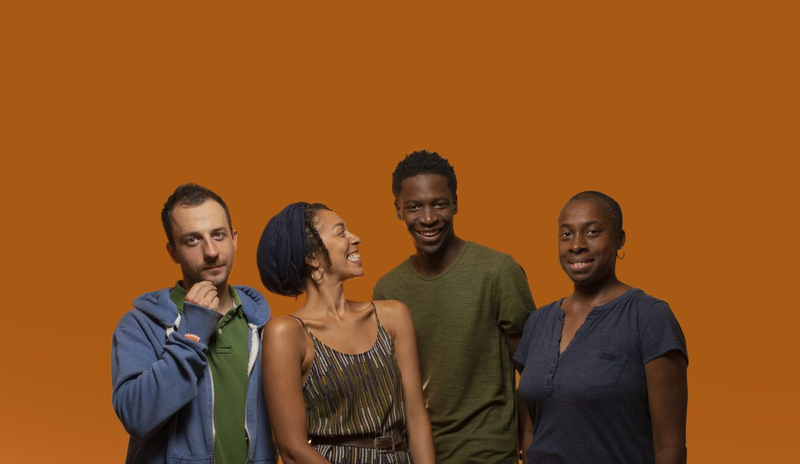 Cast, I am because we are; From left - right: Rick Bithell, Etta Fusi, Fejiro Emasiobi, Antonia Kemi Coker. Photo by Lee Baxter. One Woman is a solo show in which Cheryl Martin looks at how the aftermath of her childhood trauma has contributed to her life-long severe depression. During intensive therapy for Borderline Personality Disorder, Cheryl realised that all the women in her therapy group had been sexually abused as children. The R&D was commissioned by Made at HOME and the extract premiered at Push Festival 2019. One Woman invites the audience inside the mind of the survivor, using binaural sound and projection for immersive storytelling, in order to understand the joys and fears of survival. Cheryl Martin is a unique voice in today’s theatre, both in her own performances and in the work she makes with others as a director. In both kinds of work, she examines experiences that most people are afraid to talk about, but approaches them with a humour, warmth, and raw honesty that draws audiences in and allows them to explore with her, fearlessly.